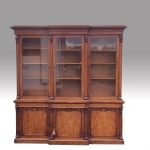 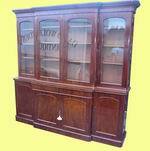 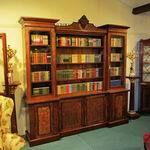 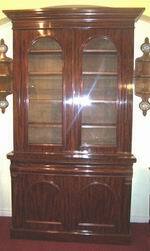 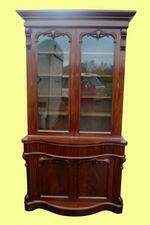 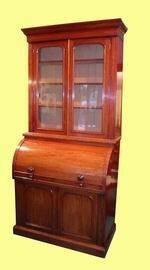 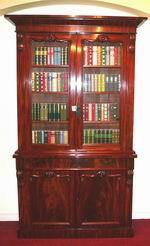 Fabulous Antique Mahogany Three Door Breakfront Bookcase Of Great Proportions. 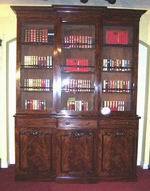 Very Fine Quality Antique Mahogany Three Door Library Breakfront Bookcase. 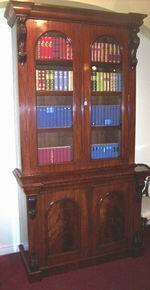 Moveable Shelves to Suit Different Height of Books. 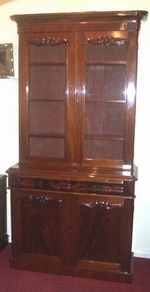 20ins deep in middle of breakfront,17ins deep sides. 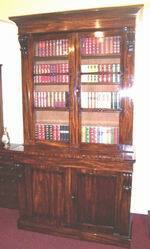 Will take 12.5ins deep books in middle and 10ins deep books both sides. 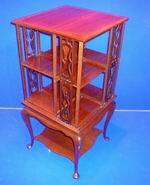 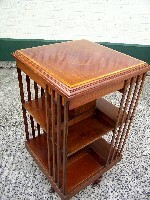 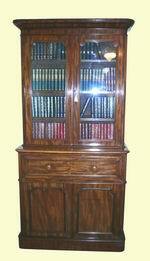 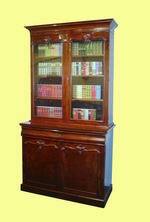 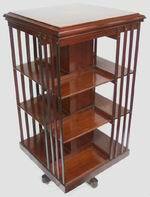 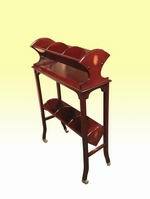 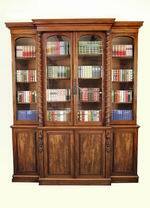 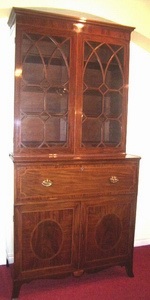 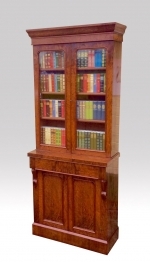 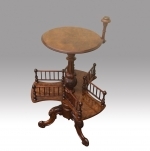 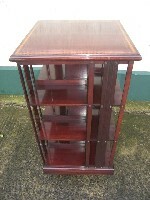 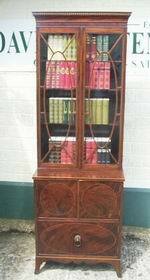 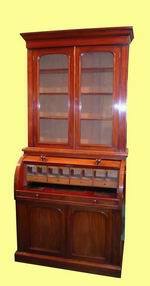 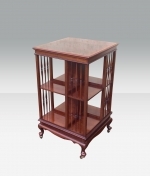 Fabulous quality inlaid Mahogany antique revolving bookcase. 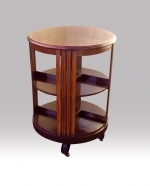 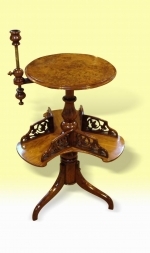 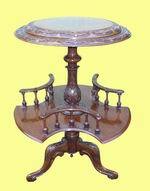 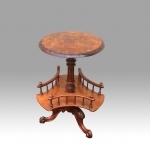 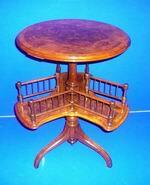 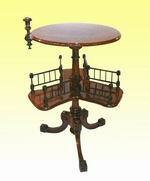 Superb Base on Original Porcelain Castors. 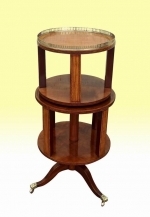 No movement in revolving axis. 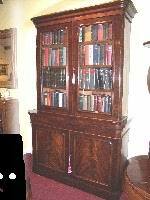 19.75ins square x 34.5ins high. 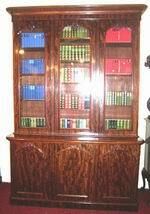 21ins square x 34.25ins high. 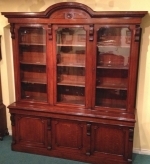 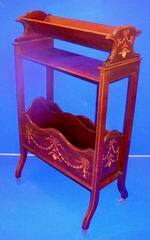 Fabulous Quality Antique Mahogany Open, Dwarf,Small Gallery Bookcase In Superb Original Condition. 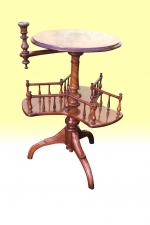 Very steady on its axis. 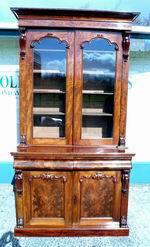 Beautiful Mellowed Colour,Grain and Condition. 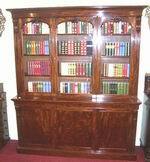 Fabulous Antique Figured Walnut Bookcase of Narrow Proportions,Beautiful Colour And Excellent Condition. 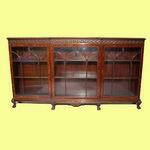 Superb Quality Large Antique Three Door Bookcase.